Discover STAR LIT PALETTE; a new collection of gradient shine eye shadows in a palette inspired by the galaxy’s deep variations of lights! 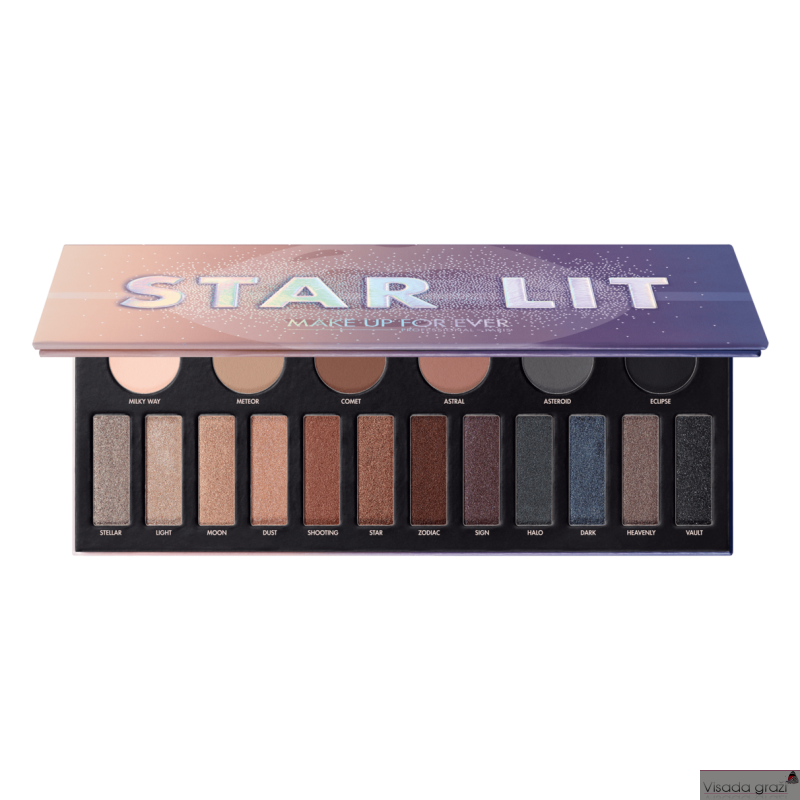 It offers 18 celestial shades divided into 6 harmonies with 3 finishes: luminous matte, glimmering metal and sparkling chrome. Mix and match the artist-selected shades to create countless interstellar combinations. Dive into the Milky Way, illuminate your makeup and catch the light! The palette comes also with our makeup artist’s tips: three cards with trendy moonlit looks that will make your eyes shine. Simply place the card on your palette and follow the easy steps. Pro result guaranteed! The 18 shades are divided into 6 harmonies of colors. Each harmony contains a matte shadow to wear as a base on the eyelid, a metal shade to add to crease and a metal shadow in order to add sparkles to the look. Use brush #226 for the matte and chrome finishes and apply the metal shadow by using blender brush #218. 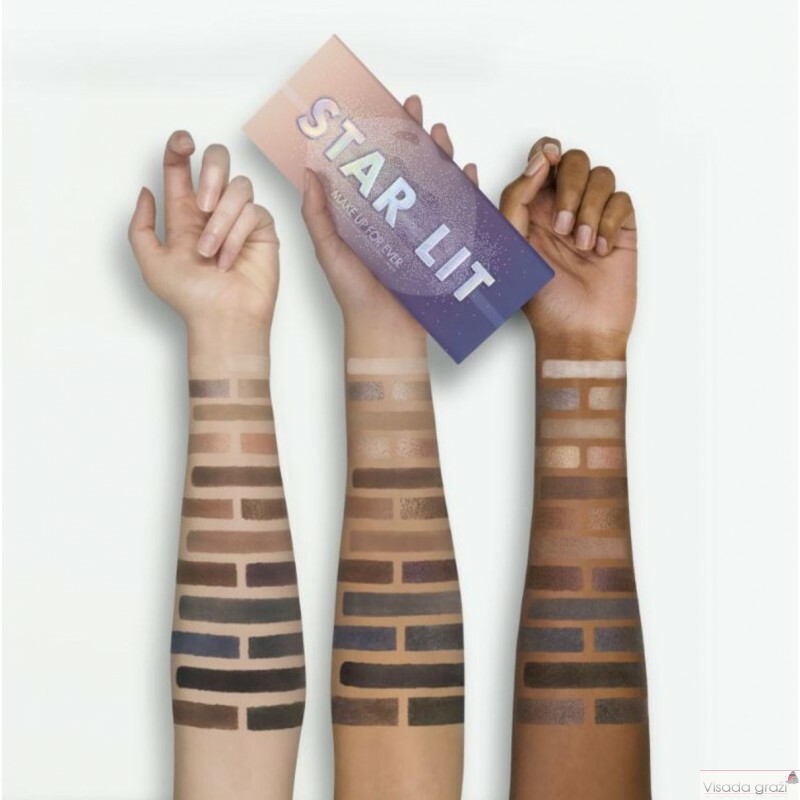 Reveal all the intensity of STAR LIT PALETTE by using STEP 1 EYE & LIP PRIMER. This unprecedented primer guarantees flawless eye makeup wear for 24 hours*. You can also use AQUA SEAL to transform its shades into intense eyeliner.